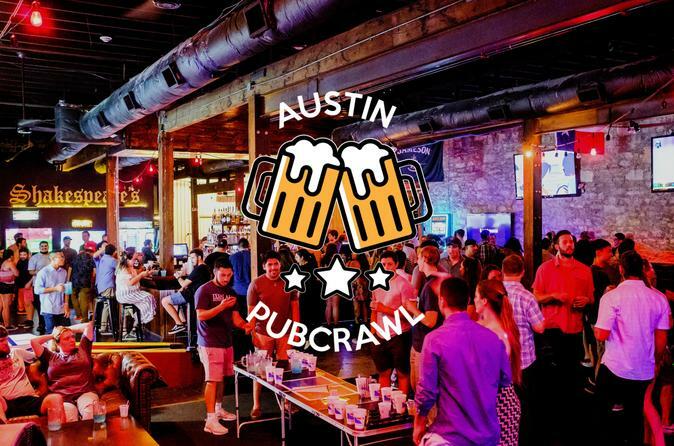 3 Fun Hours, 4 Great Bars, $2 – $5 Drink Specials - Book with Austin Pub Crawl Today! Ticket sales end at Midnight before the pub crawl. Address given is just a general area of the pub crawl. Details of starting bar will be emailed separately. * Price does not include Sales Tax and Fees. It does include Gratuity. You can text/call or email us at +1-512-688-6615 or austinpubcrawl.atx@gmail.com.